The Forward, Together strategic initiative we unveiled in September 2017 strongly conveyed the need to elect and engage proactive and responsive leaders with a focus on accountability and transparency. Establishing a PAC is one method to have an impact and build a culture of political action and grassroots involvement. And as our region continues growing at a rapid pace, it is critical for the business community’s voice to be heard and represented in town halls, council chambers and at the State House. 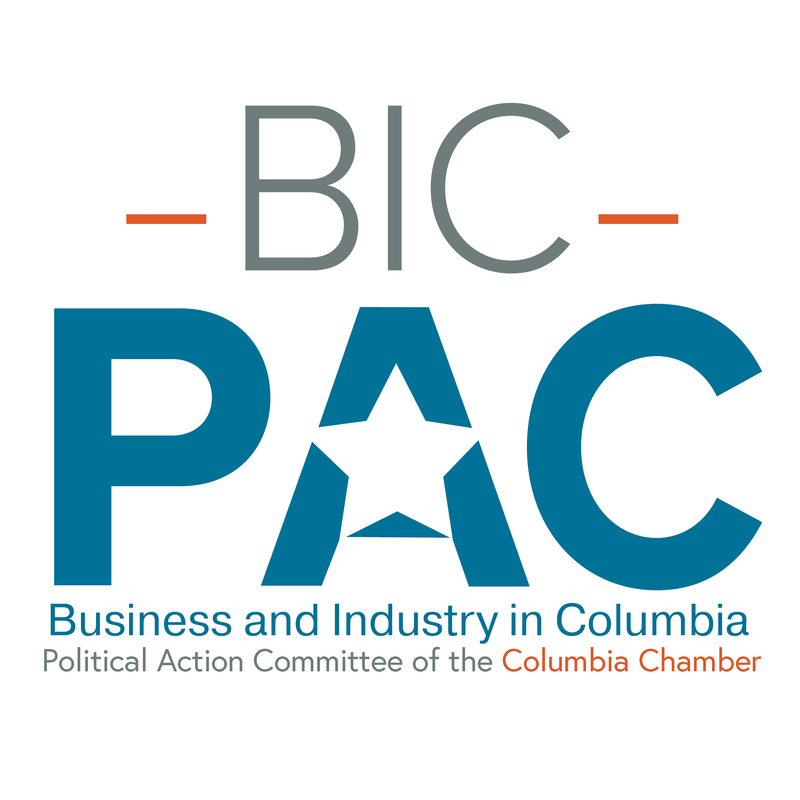 In 2018, the Columbia Chamber established Business and Industry in Columbia Political Action Committe, BICPAC, an independent, non-partisan political action committee that supports candidates who are focused on creating a positive business climate for the greater Midlands business community. BICPAC provides individuals and companies an effective way to get involved in the political process. BICPAC is a candidate PAC and endorses and makes financial contributions to candidates for elected offices at the local or state levels. Our primary focus is local elections including city and county council, mayoral races, and school boards. You can add to the collective voice of business thus speaking with a single, powerful voice on issues that make the greater Midlands business-friendly. If businesses do not speak up for their interests in an ongoing manner, we will be left out. This is one of the strongest investments in the local business community you can make. The minimum contribution level to BICPAC is $100 per year. Annual contributions cannot exceed $3,500 per individual or company. Cash donations are prohibited. To get involved or for more information, email us at bicpac@columbiachamber.com.